Following the excellent winter results on the venue, which saw a good number of forty pound fish banked, including two to myself, the big freeze that lasted over three weeks put an abrupt end to the feeding spree, and a downer on the fishing and any high hopes I’d have of a productive start to the main season. One or two of the anglers who had been here in January were keen to get back. This was the case in point of two you Dutch lads Gert- Jan Wijnhorsdt & Sjoerd Wildschut, who fresh from success in January were back in early March once the lakes were unfrozen. 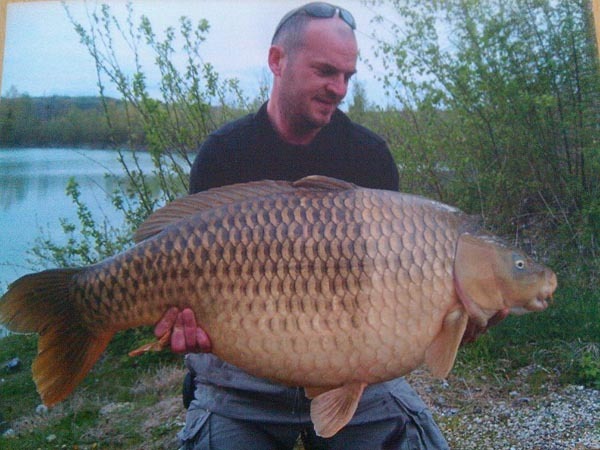 Fishing the sampe tactics that had been successful to others and to myself they used PVA bags and pellets on the plateau of the Tortue Lake, and in the deeper water of peg 13 to back 8 carp to 17kg in four nights. The second week of March saw my good friend Andy Lears and three of his friends, Tim, Mark and Chris on the venue. Andy returned to peg 11 where he had done well last May, Tim fished the next peg down while Chris chose peg 14 and Mark opted for peg 3 on the Croix Lake. This week sort of set the scene for the days and weeks to come, with fish being very localised. Andy struggled on 11 and eventually moved onto peg 5 where he was able to bank a few 20lb plus carp and a catfish. For Tim again the fishing was slow in the deeper side of the lake, but he did managed a PB mirror of 37lb 2oz. 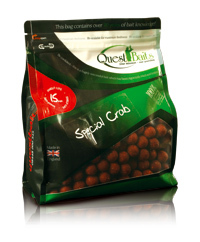 For 2012 we have opted to supply the Quest Baits Special Crab boilies at the venue. I have known Shaun Harrison for a number of years and have entire confidence in his bait quality. As I was involved with Quest at the outset, it is only natural that I put my confidence in thee high quality baits. I have both 1kg & 5kg bags in stock. 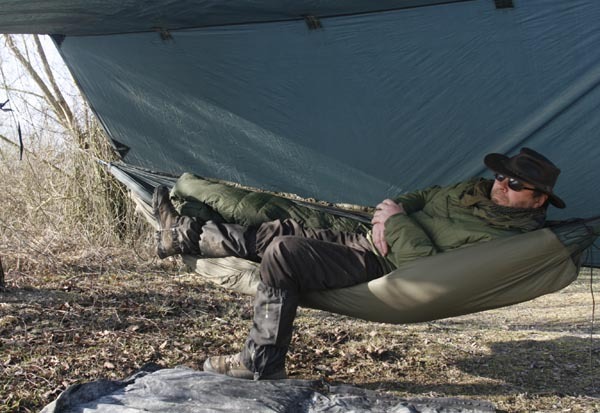 I managed to get out again this week for an overnighter and once again got amongst the fish. Since my last trip a week ago, in unusually mild conditions we’ve had something of a cold snap the last few days with several heavy frosts, and cat ice in the edge of the lakes. I’d guess the night time temperatures got down to -6°C. As I said in my previous blog post, with the mild weather, until now anyway, and relatively high water temperatures the carp have been very active. I spoke about the pair of young Dutch anglers who fished from the 2nd of January. I now have a couple of photos to add. Here is a brief resumé of their session. Jimmy Heijink and his mate set up on pegs 5 on the Croix Blanche and 13 on the Tortue. The used a bait boat to drop PVA bags of pellets and strawberry boilies to the shallower areas where fish were showing. The water levels were quite high so that would be around 12 feet deep.